We moved a few weeks ago in a new loft. We are very happy with this new space. I decided to reorganize and rethink my working space. I am very happy with the result. 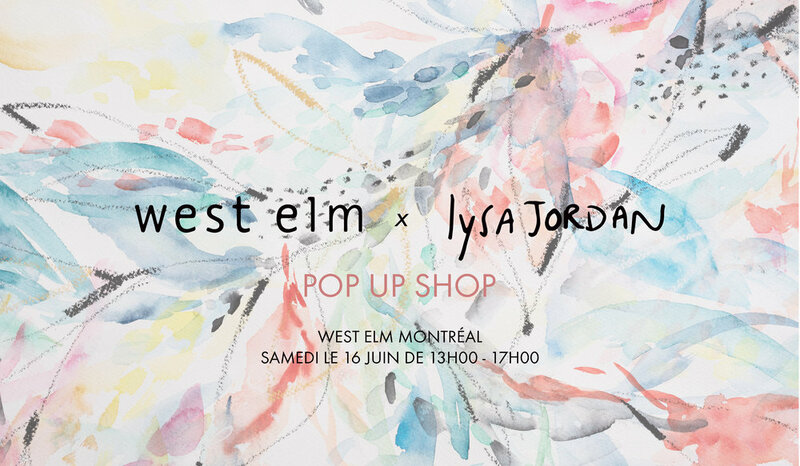 I am also very happy to invite you to my next pop up at West Elm Montréal on june 16 from 1pm to 5pm :) Click on the image below for more information.